The Olympic men's singles final has been reduced to best of three sets, meaning only Grand Slam matches will be played over five sets in the future. Another change sees men's and women's doubles matches decided by a match tie-break to 10 points in the third set. "These amendments reduce concerns of overplay for players who reach the latter stages of all three events," the International Tennis Federation said. The men's final being played over three sets brings it in line with the other singles matches at the Games, while the men's and women's doubles will follow the same format as the mixed. 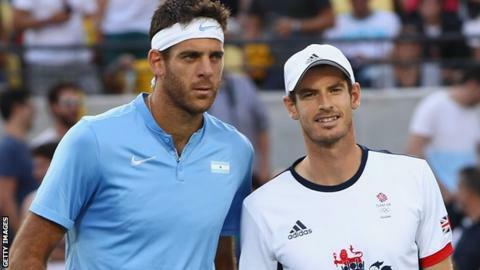 Britain's Andy Murray won what proved to be the last best of five sets Olympics final by beating Argentina's Juan Martin del Potro at Rio 2016.